Dentures, or false teeth, are a trusted dental solution for the replacement of lost teeth. According to recent statistics, approximately 36 million Americans are wearing dentures today. Its popularity can be attributed to the fact that dentures have been tried and tested for comfort and durability. A row of missing teeth can be replaced with natural-looking dentures; thereby, improving the function and aesthetics of the mouth. For dentures in Maryville, TN, trust your dependable dentist, Dr. Kim C. Norman, to provide you with a quality dental prosthetic, custom-designed for your unique needs. • Your smile becomes appealing and attractive. • Your speech greatly improves since dentures allow you to pronounce words more clearly than before. • You experience food enjoyment because you are able to chew and grind food better than when your teeth were missing. • Your face gets an instant facelift because dentures provide support. • You gain self-confidence as a result of all of the above advantages mentioned. • Having self confidence influences all aspects of your life positively, such as your career and social life. Dr. Kim C. Norman will need to check the severity of tooth loss, so he can recommend the best course of treatment. Dentures are available in different types. The type of dentures that you will need, therefore, depends on which teeth are missing and many other factors. Complete dentures may be recommended if the missing teeth are located either in the upper (maxillary) or lower (mandibular) arches, or both. Dr. Norman will need to take a dental impression to ensure that you get the proper fit. Complete dentures are made of a plastic, gum-colored based that supports the prosthetic teeth. A preliminary model is made for proper fitting, followed by adjustments if necessary. Once the right fit is achieved, Dr. Norman will create the dentures. You will then be scheduled for another visit for the placement of the dentures in your mouth. Dentures are stabilized with the use of a dental adhesive or dental implants. Consult with Dr. Norman so he can discuss with you more about the placement of complete dentures. Partial dentures may be given to patients who need teeth replacements that are few amongst the remaining teeth. Partial dentures may be removable or permanently fixed prosthetics, depending on the needs of the patient. Partial removable dentures are attached to the surrounding teeth with metal clasps and can be worn and removed independently. Partial permanent dentures, on the other hand, are permanently fixed to the mouth; thus, preventing the occurrence of shifting. 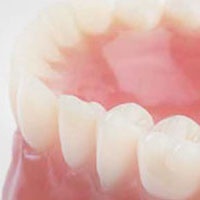 Like complete dentures, partial dentures also come with a gum-colored based that holds the prosthetic teeth in place. During the first few days of wearing your false teeth, it is normal to produce more saliva than usual, and to experience soreness in the gums. Day by day, you will get accustomed to wearing the dentures and your mouth will function naturally. In time, your dentures become a part of you and your lifestyle. Dentures can enhance the way you speak, eat, and smile while being virtually unnoticeable. For quality, natural-looking, and comfortable dentures in Maryville, TN, come and visit your trusted dental professionals at Dr. Kim C. Norman’s dental practice. Call us today at (865) 982-9662!